Students and staff at Landau Forte Academy Tamworth Sixth Form are celebrating this week after being rated ‘Good’ in all categories by Ofsted. The Inspectors, who visited the Sixth Form last month, praised a range of improvements delivered by staff since its last inspection. This included “consistently high-quality teaching”, a new adapted curriculum which “meets the needs of regional and local employers” and improved outcomes for students. The Inspectors’ report also highlighted the Sixth Form’s “ambitious culture” and commitment to high standards, helping students to achieve strong qualifications and move on successfully to further education and training. This includes more students achieving places at the country’s top Russell Group universities and on prestigious apprenticeship programmes. The professional development opportunities staff at the Sixth Form receive, which “improves their skills, raises morale and creates a positive learning culture”. 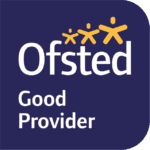 “We are delighted with the feedback from Ofsted, which recognises the commitment of students and staff in delivering a real step change in our approach over the past few years. I am incredibly proud of the community and culture we have created here at Tamworth Sixth Form, so it is gratifying to see this reflected in the Inspectors’ comments. For more information, please contact Saoirse Brennan on 020 3006 5871.